Double page! Flash back! Steve has braces! Roy is shorter than everyone! Rissa…isn’t white anymore? Anyways, this month’s junkfood update is NEXT WEEK. It just makes more sense, what with American Thanksgiving next week, as well as with the content of the next two pages. Next week is a proper illustration though, so do please pop in for that. 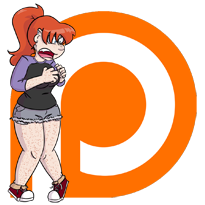 As always, there’s a new vote incentive, and please tell people about the comic! Share it on facebook, twitter, tumblr, pass notes to people with the address to the comic scribbled on them. It would mean the world to me.